The holiday parties are in full swing right now with Christmas just 2 weeks away, so here is a look perfect for the season. I did a gold metallic lid to bring attention to the eyes, and complimented it with burgundy and cranberry colors. It’s an eye catching look by using metallic’s and a little shimmer shadow, but still wearable enough that you can pull it off at a company holiday party, at home with the family, or for someone that just wants to add a little bit of shine to their look without having to bring out the glitter. 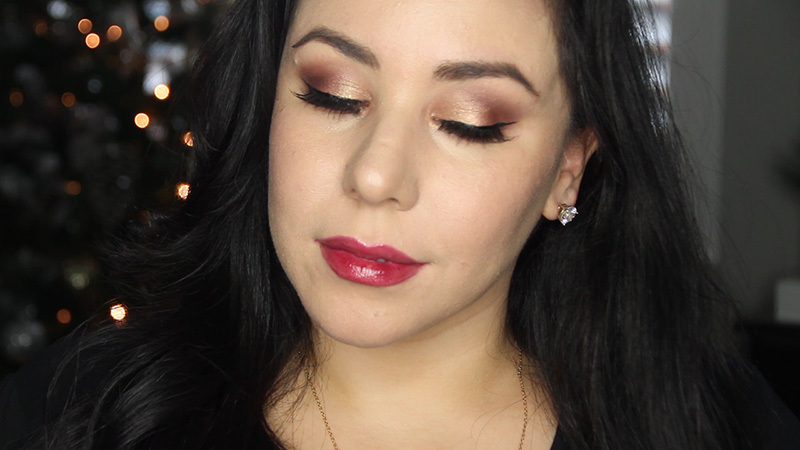 Watch the video below to see how to get this “Christmas Makeup” look! I will be doing 2 more Christmas Makeup looks so be sure to check back! You can also subscribe to my YouTube channel.